With Precaliber 24 21-speed Girl’s, your youngster will feel unstoppable. 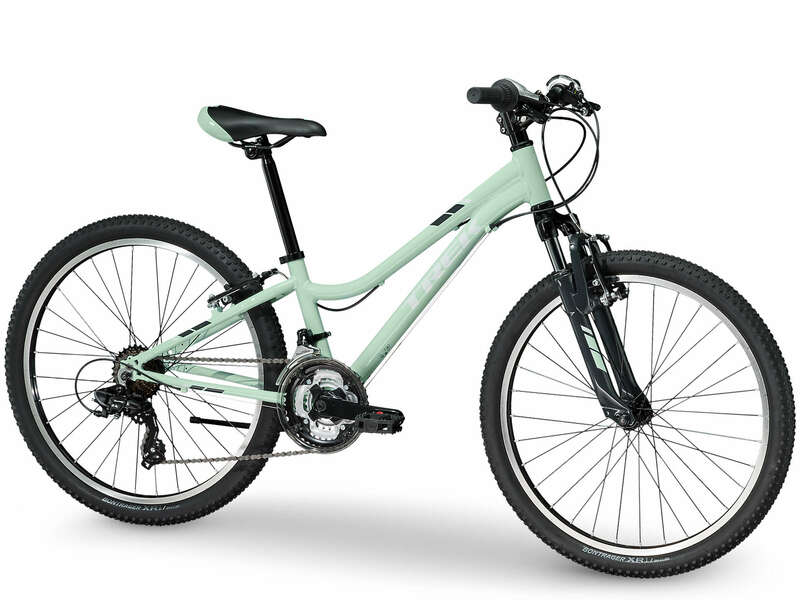 Fast, high-quality components like a Shimano 21-speed drivetrain and a performance suspension fork will have them dreaming of the podium whether they’re riding the trails, racing home from school, or shredding singletrack with the family. For kids ages 8-12, between 51-59˝ tall.